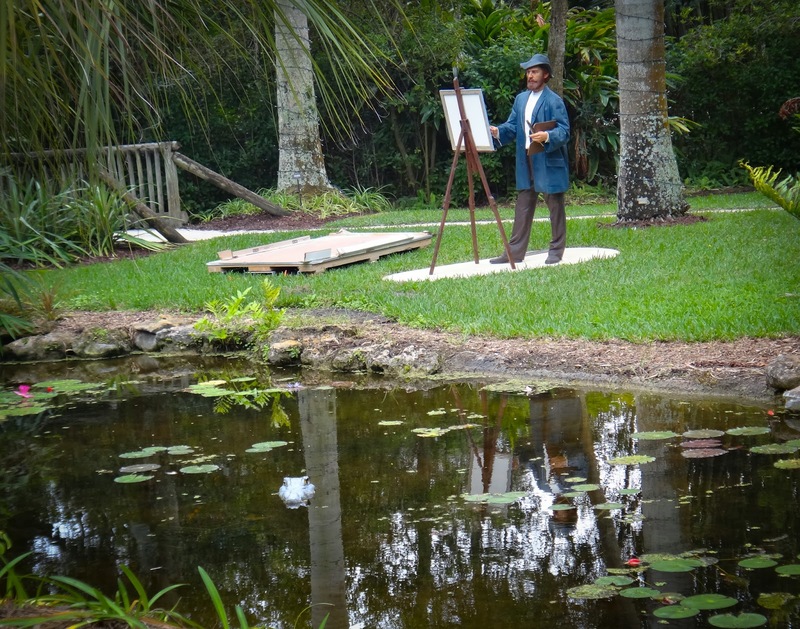 Monet is famous for painting water lilies. 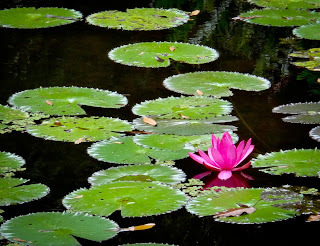 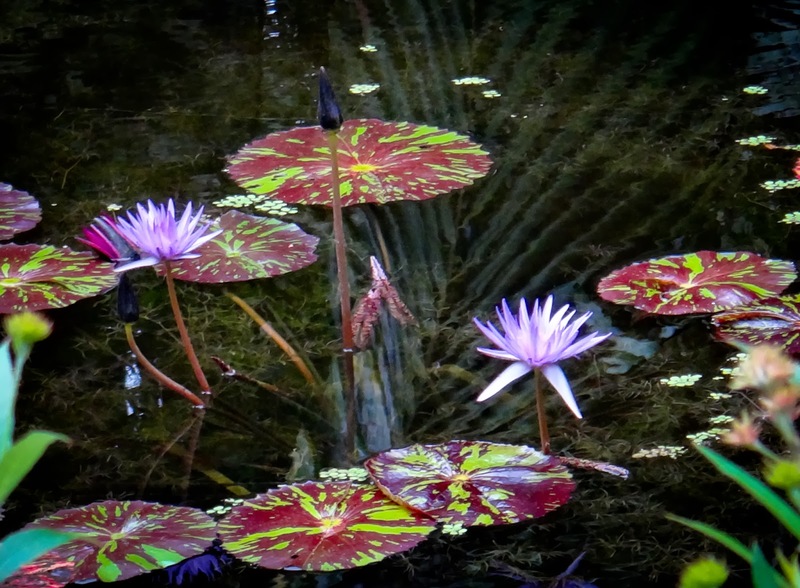 The water lilies at McKee Botanical gardens are one of their most famous features. Currently, there are displays like this one around the garden. 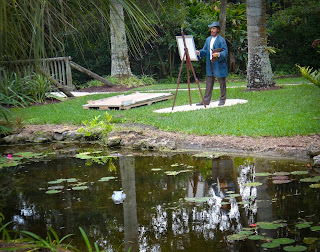 This is a mock-up of where Monet got his inspiration. Kind of clever.